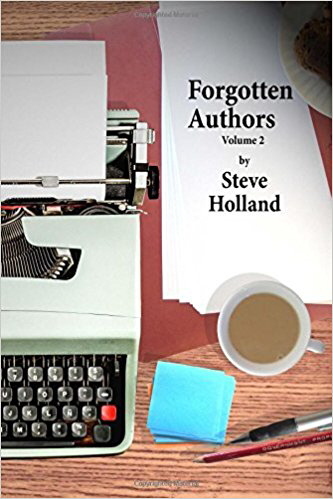 Steve Holland has recently published two volumes of his researches into forgotten authors, and some of these authors (like Gerald Biss and Ella M. Scrymsour) are of definite interest to Wormwoodiana readers. 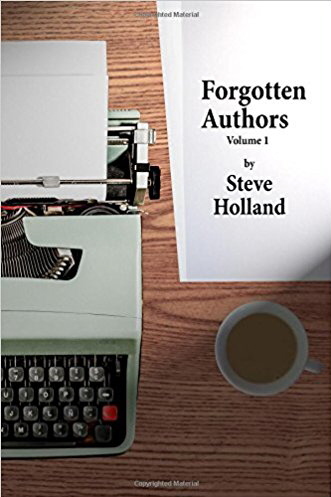 Forgotten Authors Volume 1 covers thirteen authors, including W. Stephens Hayward, Anonyma, Stella M. During, Edric Vredenburg, Morley Adams, Gerald Biss, W. Holt-White, Alphonse Courlander, Ella M. Scrymsour, Alexander Wilson, Guy Ramsey, E. T. Portwin, and Dail Ambler. It is available in trade paperback and Kindle formats via Amazon.com and Amazon.co.uk. See the Amazon pages for more details. Forgotten Authors Volume 2 covers another ten authors: Bracebridge Hemyng, Philip Richards, Frank Barrett (Frank Davis), Ernest Protheroe, Charles Granville (Charles Hosken), Louise Heilgers, C. E. Vulliamy, Evelyn Winch, Frederick Foden, and David Roberts. This volume is also available in trade paperback and Kindle formats, via Amazon.com and Amazon.co.uk. Clink on the links for more details. These seem to be genuinely forgotten. I enjoy Christopher Fowler's writing on forgotten writers, but most of his choices are known to many people.